Would your social or business group like to hold a tournament or other golfing event? 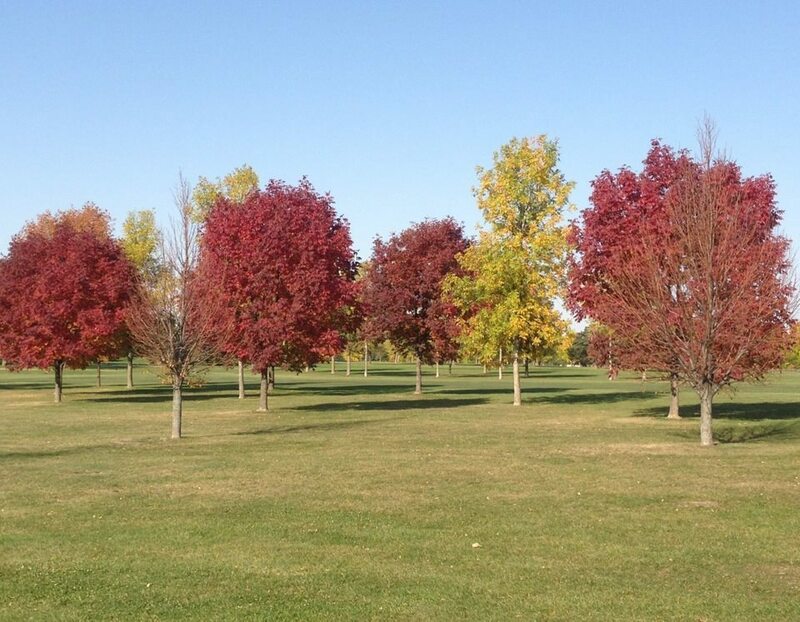 Pheasant Ridge or Walter’s Ridge Golf course may be your answer. The course is available on weekdays throughout the summer and on weekends. Catered lunches and dinners will be arranged at your request. 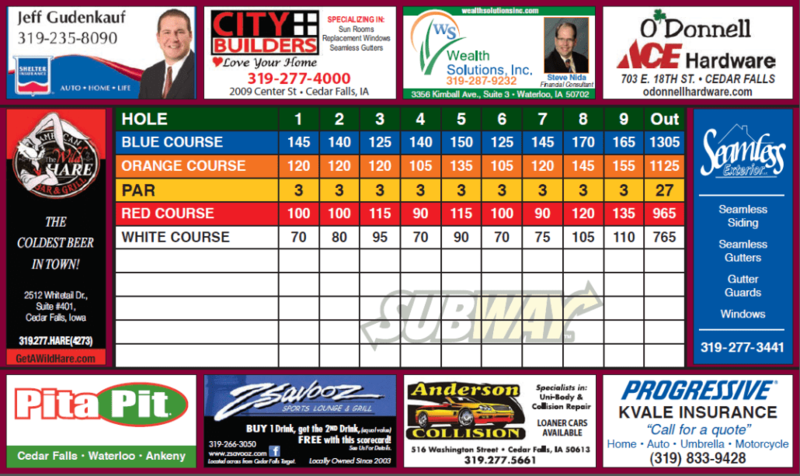 Our PGA Professional will be happy to assist you in arranging and conducting your golf event. Special rates are available on prizes for your tournament winners. See our golf outings and tournaments page for more details or to submit an inquiry. FootGolf is gaining a lot of momentum around the United States. There are currently over 260 FootGolf courses around the country. 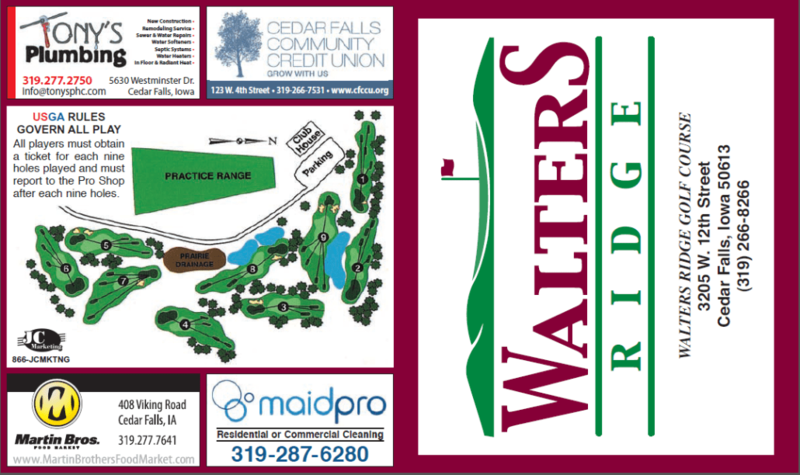 The City of Cedar Falls is proud to announce FootGolf is available at Walter’s Ridge Golf Course! Similar to golf, FootGolf is a sport that people of all ages can play. FootGolf is a game that follows the same rules as golf but is played by kicking a soccer ball into an oversized (21 inch) wide cup. The course itself will be set up just off to the side of each of the existing holes on Walter’s Ridge. The FootGolf course will be roughly as long as each hole at Walter’s Ridge but the par score might change since most can hit a golf ball a lot farther than they can kick a soccer ball, but it will be set up to be competitive for the players of all ability. The speed or pace of FootGolf is consistent with the normal play for golf and often you can have a mixed foursome playing both regular golf and FootGolf at the same time. Cost for FootGolf is consistent with the current golf rates for Walter’s Ridge.